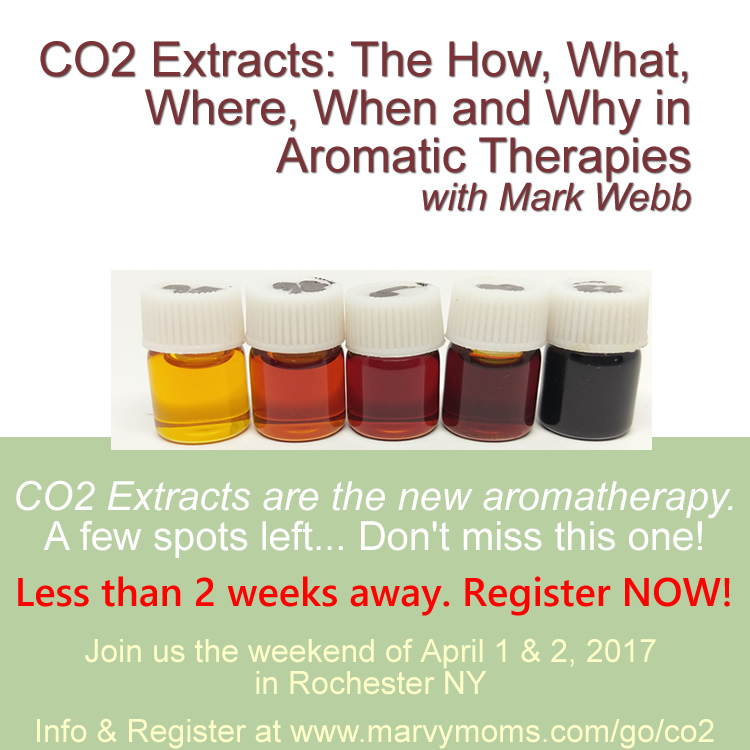 Australian native, Mark Webb, is an aromatic educator, scientist, cosmetic & formulations chemist, an aromatherapist, and food & beverage formulator and I have invited him to Rochester NY to share his knowledge about CO2 extracts. I went to Atlanta in October to take an Aromatic Medicine course with Mark. It was four intensive days of learning followed by homework and another four days coming up in March (plus more homework) to graduate from the course. I was impressed by the depth of knowledge that Mark conveyed to the class with a healthy dose of humor and a focus on safety. After the Aromatic Medicine Class, Mark flew to Boulder Colorado where he gave his CO2 class for the first time ever. Not being small enough to fit in his suitcase and follow him there, I decided instead to ask him to come to the East coast to give the same workshop here. Many aromatherapy classes occur in Boulder or on the West coast and so I’m happy to give a closer option to folks on the other side of the country. CO2 extracts are becoming more widely used than ever before and their uses are still being discovered. Mark has spent over a decade getting to understand them so that others can experience the vast benefits of this extraction method. Many essential oils are steam distilled and some constituents are lost in this process. CO2 extraction uses the same plant material as steam distillation to start, but instead of using steam, the constituents are extracted by using CO2 at varying temperatures and pressures. Once the plant material is extracted, the CO2 returns to its gaseous state and what’s left over is the CO2 extract which is often much richer than its essential oil counterpart. Why is this so exciting? 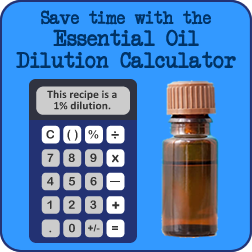 Well, because with more of the plant material in the extract, there can be added healing properties and an entirely new “medicine” than what comes from the essential oil, carrier oil, or hydrosol. CO2 extracts are used in aromatherapy as well as in the cosmetic and food industries. Who might benefit from this class? I hope you will join us in learning about this exciting and underexplored aspect of aromatherapy! In this 2 day workshop Mark will delve deeply into the world of CO2 Extracts, looking firstly at the history and the production technology and how this affects the end product. He will compare and contrast a range of volatile and non-volatile, Liquid, Select and Total CO2 extracts with their essential and fixed oil counterparts and oleoresins, discussing safe and effective usage within topical and internal formulations. Mark has over a decade of experience formulating with CO2 extracts making him well placed to discuss their uses within the fields of cosmeceutical and aromatic therapy applications. His knowledge about how to incorporate these extracts in food and beverages for both therapeutic and non-therapeutic use enables him to provide a broad range of practical and day-to-day examples. If you have been curious about using CO2 Extracts, this is the workshop to answer your questions. Discover what CO2 extracts are and how they compare to essential oils, expressed oils, absolutes and oleoresins. Find out how CO2 extracts are made and the differences between Liquid, Select, Total, volatile and non-volatile extracts. Discuss the various applications of CO2 extracts across a variety of dose forms & application techniques. Learn safe use and handling of CO2 extracts, recognizing which extracts to watch for and the importance of dilution within formulating. Accommodations: Get the group rate of $109 per night for any available room or suite with a special discount code available to students at East Avenue Inn & Suites. Just a short walk from the classroom with shuttle service also available. Rates are good only as long as there are rooms available, so BOOK EARLY! Course Prerequisite: None. This course is available for anyone wanting to learn about CO2 extracts! Mark Webb’s class on CO2’s is very informative, to say the least. At every turn Mark exhibits his wide range of knowledge on a great many subjects of interest to the aromatic and herb student. His acerbic wit will keep you on your toes while you exercise your brain to take in all the nuances of his humor, as well as the great information he imparts. Enjoy and keep your pencils sharpened! Mark Webb’s CO2 class will awaken if not enlighten you to the wonder that is the CO2 extract. I know of no other teacher with the knowledge base nor captivating presence you will experience in this 2 day class or any of his classes. Come empty and leave full. CO2s are becoming more available to Aromatherapists without the knowledge to go with them. This class explores the therapeutics on so many of the extracts that I couldn’t wait to run out and start using them with confidence. It’s your turn to take Mark’s CO2 class and see how much fun you’ll have learning with him! Don’t forget the early bird registration deadline is January 6, 2017. What a great holiday gift for your wishlist to either ask for or to fulfill for yourself.